On Monday December 10th we ran our latest Cardiff sciSCREEN event at Chapter Arts Centre. 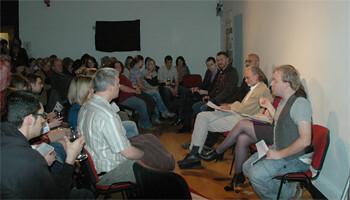 This event was sponsored by the Cardiff School of Social Sciences. 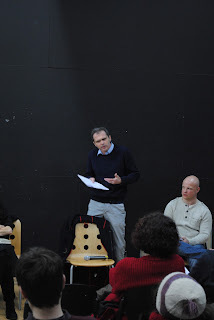 The four speakers who talked at the event were Dr. Neil Jones on Alcoholism, Professor Ralp Fevre on the curious appeal of 20th century religious movements, Professor Jon Bisson on Post Traumatic Stress Disorder and Susan Bisson on Paul Thomas Anderson films and the portrayal of mental illness in film. 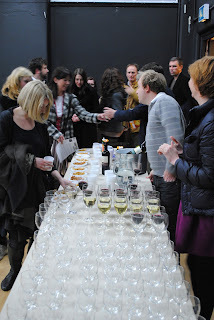 Below are a few photos from the event attended by 100 people. Many thanks to all for your continued support. To follow us on Twitter click here and to like us on Facebook search for Cardiff sciSCREEN.